I would like to cover some of the checks that need to be made after an aircraft has sat through the winter months. It is also a good idea to do this before you pack your gear to go flying. I myself have learned most of these lessons the hard way throughout the years. I have lost control horns, broken hinges, failed battery packs, broken fuel tanks, and this is the very short list. The best way to be safe and also to ensure a fun day at the field is to use a checklist. When you pick up any piece of your aircraft first give it a good visual inspection. Look for defects in the covering or paint that may point to a structural problem underneath. Many a time one of the kids or family pet has knocked over a fuselage or wing by accident and just stood it back up without telling a sole. Be sure to always give things like your vertical and horizontal stab a good tug to see if they are secured correctly. Grab all control surfaces and give them a pull to check your hinges. This used to be quite an issue back when we would epoxy in nylon hinges. Todays hinges are much better but should still be checked every time we prepare to fly. Look at the control linkage and how it is attached to the control surfaces. You should give control horns a little flex to look for cracks. It is much better that it cracks in the shop than in the air. This check also will show if any mounting screws have loosened in previous flights. Of course this is the time to look at clevises and ball links too. This has been the demise of many an aircraft. I generally go inside to the servos and radio gear at this point. There are many different ways to mount your gear depending on the aircrafts size, design, type of radio, etc… What we are looking for basically though is that servos are mounted and secured as per the equipment’s manufacturer. Do the same little flex that you did on your control horns to the servo arm. Check the connection between the servo arm and the linkage. Once again clevises and ball links are fairly common here. If you are using an adjustable collar type that has a set screw to clamp the control rod into place then be certain to put a screwdriver or allen wrench on it and make sure it is tight. A common sign of this being a problem is if you keep having to trim the aircraft the same way repeatedly. I once had to keep trimming up elevator time and time again until I eventually ran out of trim after a few laps around the field. Now check that the battery pack is secured along with the receiver and speed control if you are using one. I like to have these wrapped in foam to reduce the vibration from the airframe transferring to them. I then will snuggly but not tight zip tie them to the structure to ensure no shifting during flight. There is no worse feeling than pulling up into a loop and having your battery pack come unplugged. I did this too. We watched as it looped and looped until the wind carried it far far away. Check all of your radio systems connectors and be certain that they are plugged in correctly and tightly. If you are using servo extensions it is a good idea to use heat shrink tubing to keep them from coming apart. Check fuel tanks for leaks, if your aircraft is so equipped. This is usually pretty easy. I quick look at the airframe will generally show if it is being saturated with fuel. Fuel lines can be stretched a bit to make sure that they are not rotten. I usually replace mine every season regardless. Your engine or motor needs to be pulled on a bit to make certain that it has not vibrated loose. The prop and spinner should also receive the same pull and tug. Wheels should turn freely and the locking collars checked. Unless you want to fly a flight thinking about how you are going to land without a wheel. With “Is this the last flight on this one?” going through your mind. Now is the time to check all those batteries one last time. I like to use a battery checking device that will put a load on the pack. This will ensure that your charger was working properly and that your battery pack is in good condition. Checking them with a load will let you know very quickly if you have a bad cell in your pack. These are simply what I do to make sure that I will have full control over my airplanes every time I go to the field. 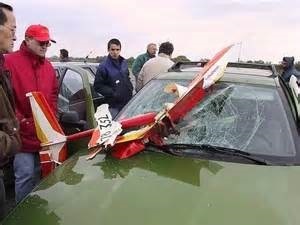 Losing control not only costs you an aircraft in most cases but is extremely dangerous. Any aircraft out of control is going to cause damage and possibly fatalities. It only takes 5 minutes to run through a quick checklist while you are loading up and you will stand a better chance at having a fun day. Happy Flying and be safe out there!